It has been a while since the last review of Micro Land figures, but today we turn our attention towards another. This one certainly has a nice mix of characters both new and old, obscure and familiar. 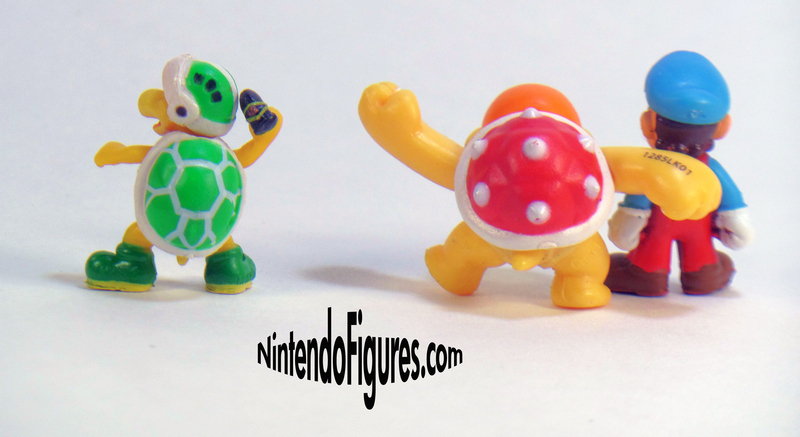 As far as rarity goes, it is not the hardest to find from Series 1-2, but it is certainly rarer than the Sumo Bro set and the Dry Bones and Luigi set. Ice Mario – It is hard not to like this repaint of Fire Mario. The colors are fantastic and so is the M on Mario’s hat. Mine has a lot of paint flaws that you can see in the pictures and the worst is probably his nose. If you’ve read any of my previous reviews like this or this, then you know there tends to be small paint issues with Series 1-2 figures so this is not too surprising. Overall, I like this figure and it is another repaint I’m happy to own even if the actual pose is pretty static. Boom-Boom – Much like with Sumo Bro., Boom-Boom is a character I never expected to see so the fact that he even exists is awesome. With that said, Boom-Boom does have some big downsides. On my figure, the white paint on the finger and toe nails is sloppy or needs a second coat of paint. The other details are pretty nice, particularly his shell. 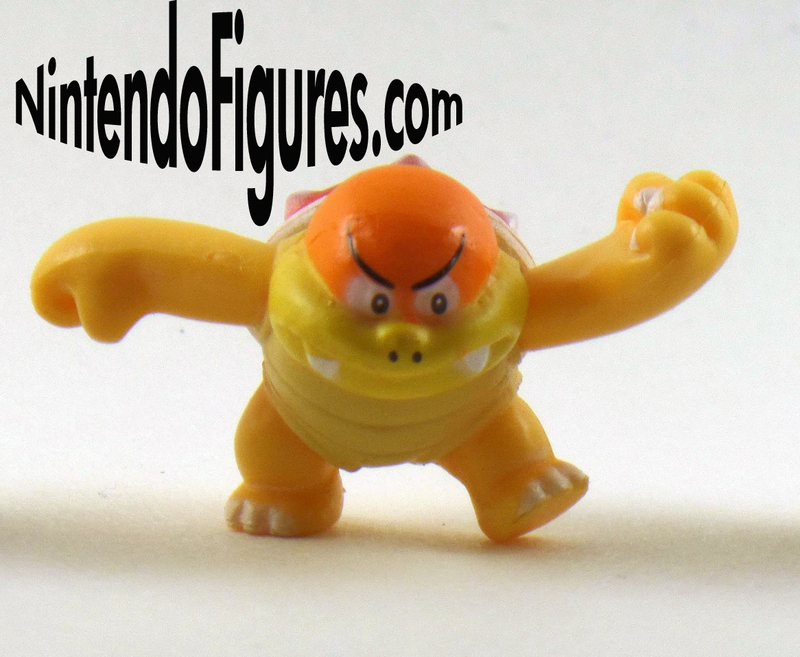 Unlike Magikoopa, which had a horrible product number on the back, Boom-Boom’s is one the back of his hand/arm and a little less noticeable which is appreciated. While Boom-Boom has a great pose, he does not stand up on his own very easily at all. I had to play with it a number of times to get him to stand up and only managed to get one picture where he is standing. I’ve talked about why this disappointing in other reviews like the previously linked one with Toad, but it certainly looks like this will be a common issue with Micro Land figures. Overall, Boom-Boom is probably not good to actually display but the figure looks nice. Hammer Bro. – In my review of the Gold figures from Series 1-3 which you can see here, I talked about how nice the paint job is on Gold Hammer Bro. and the regular version mostly matches it. Mine is slightly more cross-eyed, but otherwise, the nice details like shell and helmet are still there. Hammer Bro. has a great pose and looks great in any display. This is a well done figure and one that anyone can use in a Mario display. Closing Thoughts – I might just be getting used to the drawbacks of Micro Land at this point, but most of the issues these figures have I can ignore or look past. Boom-Boom not being able to stand is without a doubt the worst part, but since he has so few figures, it is hard to really complain about that. I’m pretty happy with this figure pack and can certainly recommend it, particularly if you find one with figures that are well-painted.